The Kinzua Bridge has been attracting tourists since the day it was completed in late August of 1882. As the largest and tallest bridge in the world at the time of completion, it’s not hard to understand why. Even after it lost this title in 1885, the bridge was still popular with excursion trains from as far away as Buffalo, New York and Pittsburgh. 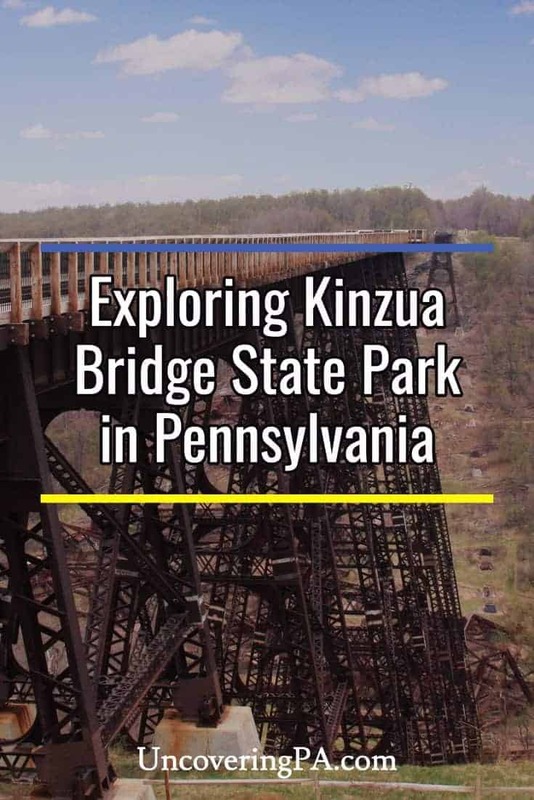 However, the Kinzua Bridge wasn’t built to be a tourist attraction. A few years earlier, Thomas Kane, President of the New York, Lake Erie, and Western Railroad, had a problem. While trying to connect the rich coal mines of Elk County with the Pennsylvania Railroad track in Bradford, he had to make a difficult and expensive choice: should he build the largest railroad bridge ever attempted, or should he route his line eight miles across difficult terrain to an easier crossing? Ultimately, Kane chose to keep going straight across the Kinzua Valley. Looking out over Kinzua Bridge. The bridge itself only took 94 days to complete, an engineering feat in itself, and was over 300 feet high and 2,500 feet long. Despite the quality of the bridge, the use of iron in its construction did not allow it to accommodate the large locomotives that soon came along, and the bridge was completely dismantled and rebuilt from steel in 1900. 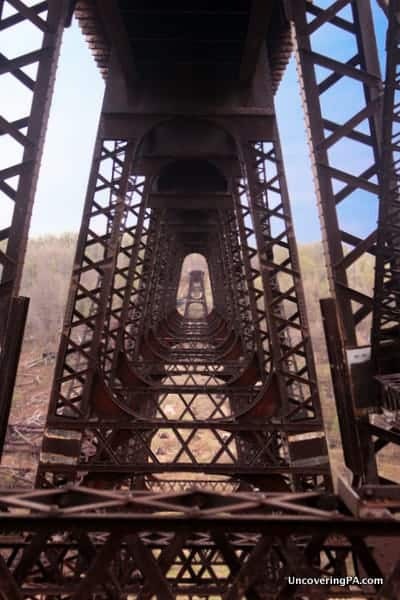 Over the next 59 years, the Kinzua Bridge was an important freight rail link in the region. However, in 1959, the bridge was sold to a company who planned to tear down the bridge. Fortunately, upon seeing the beauty of the bridge, the company’s president decided that it was too wondrous to tear down, and the bridge was soon sold to the state of Pennsylvania, who turned the area surrounding the bridge into a state park. Soon, excursion trains were once again crossing the bridge and millions of visitors came to the bridge each year to walk across its still impressive expanse. However, in 2002, it was discovered that the bridge had serious structural flaws that necessitated repairs, and the bridge was closed to traffic. While those repairs were started, they were never completed. On July 21, 2003, an F1 tornado touched down in the Kinzua Valley and destroyed 11 of the bridge’s 20 towers. Looking at the costs of rebuilding the bridge, the state instead decided to create a skywalk with the remaining 600 feet of the Kinzua Bridge after the tornado. 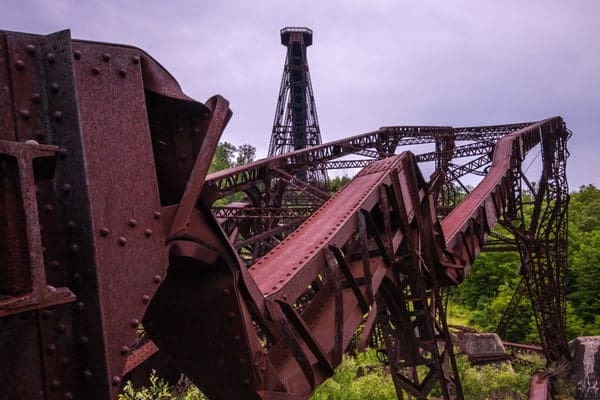 Walking amongst the remains of the Kinzua Bridge. It was more than 8 years after the tornado before the new Kinzua Bridge would open to the public in September 2011. However, when it did, it instantly became a must-visit tourist destination in Pennsylvania. 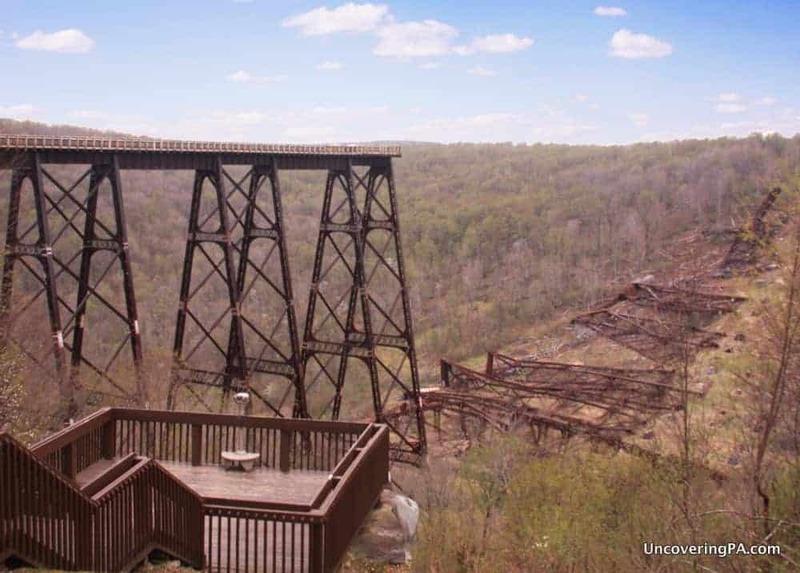 Unfortunately, I never had the opportunity to visit the Kinzua Bridge before it was destroyed. However, visiting the new skywalk, I was awestruck at its beauty, spanning 600 feet out into the valley and roughly 225 feet above the Kinzua Creek below. Walking to the now abrupt end of the bridge is a breathtaking site, both for the natural beauty of the valley, but also for the evidence of the storm’s strength below. 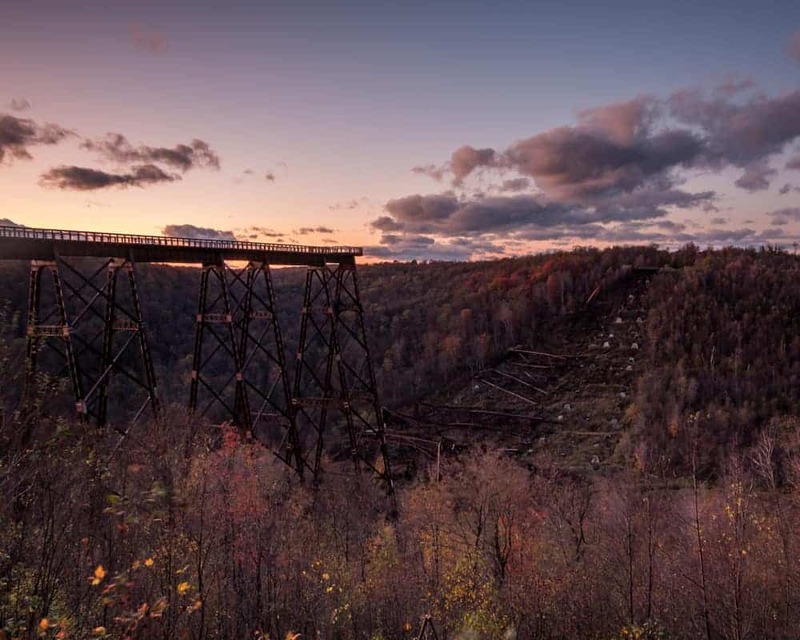 The destroyed Kinzua Bridge laying in the valley below the bridge. When redesigning the bridge, it was decided that the toppled remains of the bridge should remain where they fell in 2003. Scattering the valley floor below the end of the bridge are the twisted metal remains. The Kinzua Bridge collapse is a great testament to the destructive power of nature. 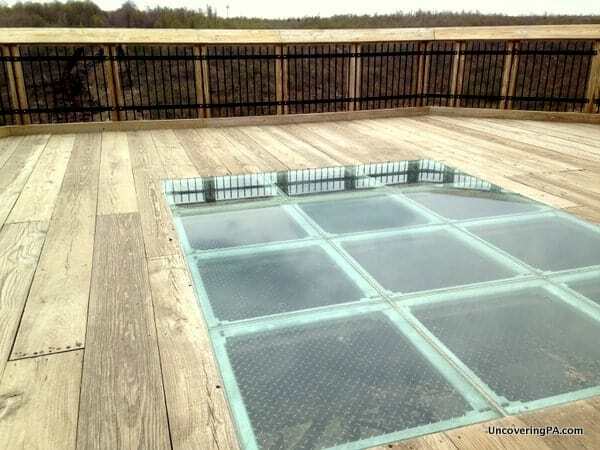 Another highlight of the new Kinzua Bridge is the glass floor that covers a portion of the bridge near the edge. While it may not be as high above the ground as the glass floor at the Grand Canyon Skywalk or the CN Tower in Toronto, Canada, it’s still high enough to give you a moment of panic has you step onto it and stare down at the ground 200 feet below you. The glass floor at the end of the Kinzua Bridge. If you want to get a view of the bridge itself, there is a trail to the right of the bridge that goes down to the bottom of the valley. Along the way, there are three vantage points, the first of which is handicap accessible. The third viewpoint is located directly under the bridge and offers a great look through the remaining trusses. The view from underneath the Kinzua Bridge. From this viewpoint, the trail gets VERY steep as it heads down to the bottom of the valley. Fortunately, giant stone steps have been installed recently, but the trail is still one of the more challenging official trails I’ve done in PA. If you opt to do this, use extreme caution as the trail is difficult to navigate and very tiring to ascend. I wouldn’t attempt this trail without proper footwear. Once at the bottom, the view of the bridge above you and the wreckage all around is quite impressive. Small side trails take visitors up to the wreckage (though the area between the wreckage is now closed), and a small, rickety bridge crosses the small Kinzua Creek. 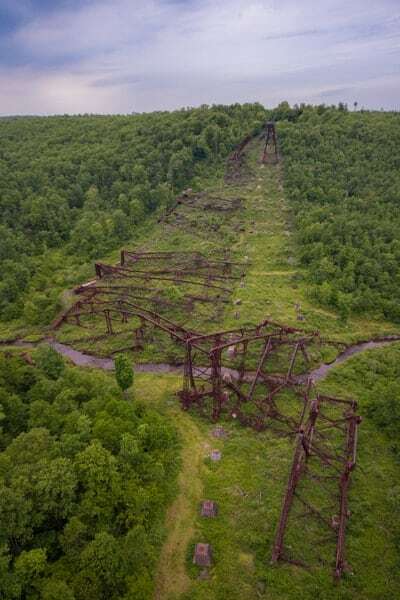 Looking over the wreckage and remains of the Kinzua Viaduct. If you opt to get close to the wreckage of the bridge, make sure to exercise extreme caution. There is a lot of sharp, rusty metal, and it would be very easy to get seriously injured. 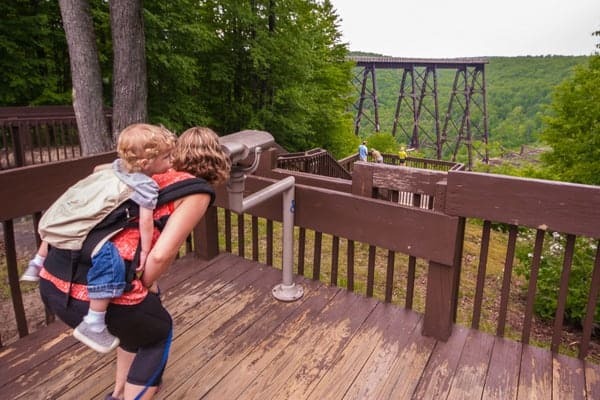 While it’s easy to spend all your time exploring the bridge, make sure to save time to visit the visitor center at Kinzua Bridge State Park. Opened to the public in 2016, this visitor center features a fantastic museum that tells the story of the area, the bridge, and its destruction. 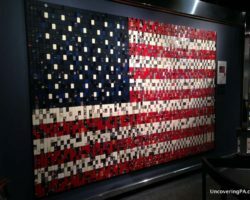 From what I’ve seen, it’s the best state park museum in Pennsylvania. 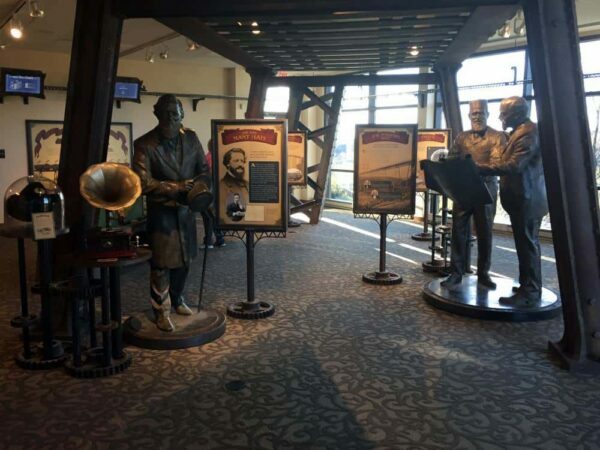 The new Kinzua Bridge State Park visitor center shouldn’t be missed when visiting the park. 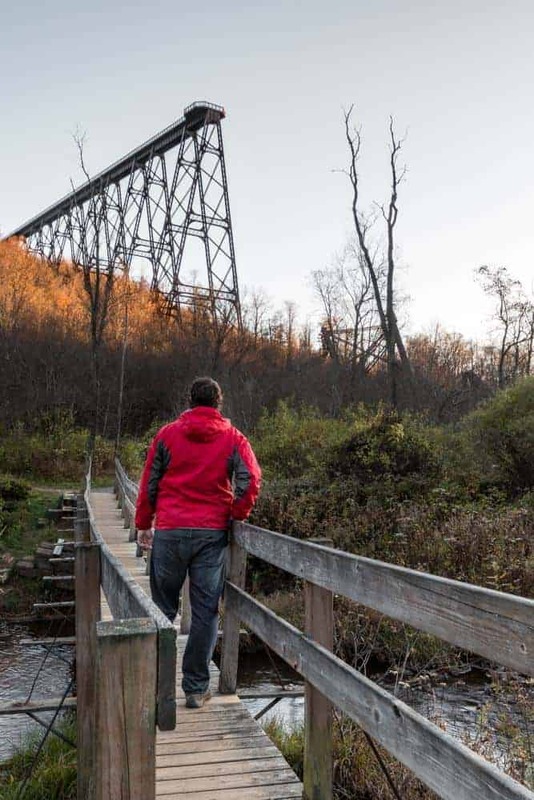 Without a doubt, Kinzua Bridge State Park in McKean County is one of the best state parks in Pennsylvania. It offers amazing history and beautiful natural scenery that can’t be found elsewhere in the state. While the area is beautiful at any time of the year, it is even more beautiful during fall foliage season. 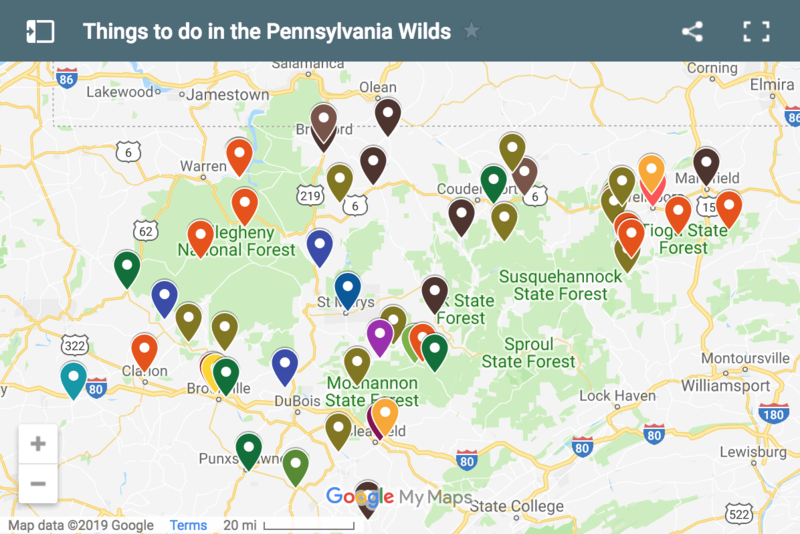 However, no matter when you have the chance to visit, consider this one of Pennsylvania’s must-visit state parks. 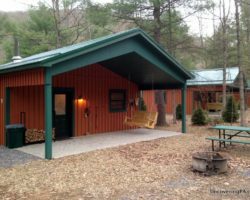 Looking to extend your trip near Kinzua Bridge State Park? 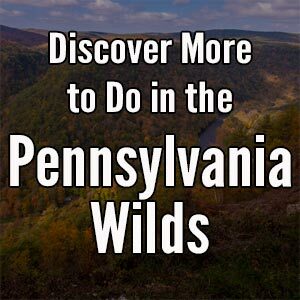 Head to more natural sites such as the Allegheny Reservoir and Hector Falls or pay a visit to the Old Jail Museum. If you enjoy large bridges, you can also travel east to Tunkhannock Viaduct. we went to that when it was open with the excursion train running quite a few times…We wanted everyone we knew to see it..and we have a cabin in Potter County…It was fun you rode the train across and then ate your box lunch and rode back…It was a very very sad day when it all came down like a dominoes. We just took our grandsons there last year because we wanted to see what it looked like now. It was heartbreaking. Though the kids did enjoy the skywalk, but they never got to enjoy the train ride. It really is a shame about the train ride. I would love to have had the chance to ride a train across the bridge. Would have liked to see a full picture of the new span. Charles, There is no new span. The way it’s shown in the top photo is what it looks like today. After the bridge was destroyed, they left the rubble below and made the remaining bridge an observation deck. I know we talked on Instagram about this, but my family lives in Warren County and has been visiting the park every year since I was a kid (both pre-storm and post-storm). When my sister was in elementary school, she rode the train over the bridge on a field trip. I was sad to see it blown down, but we were excited they decided to preserve its memory in this way leaving the wreckage for all to see. It’s quite a sight! I will never forget July 21, 2003. My family rented a van to carry us across Route 6 (we live in NEPA). On the very day we were going to visit the bridge for the first time, we noticed how stormy it was, but we kept going. We had already turned off Route 6 and were on the road leading to the bridge, when a tree fell across the road in front of us. My brother-in-law and I moved the tree (it was rotten and not huge), but we all decided to go back to Route 6. We were stuck for a while at the intersection due to road closings. Plus, the power was out. When we finally got to our motel later that day, we heard about the bridge. I honestly believe the Lord dropped that tree in front of us to keep us from the harm just up ahead. Since then, some of us have been to the bridge on the way out to my wife’s sister’s place. We enjoyed being able to walk on the bridge and see all the work that has been done to preserve that important historical site. That’s quite the story, Mark. Thanks for sharing. The bridge was under construction to be rehabbed since it was in very poor condition. The first day of our inspection in 2002 for the State Parks Dept. (DCNR) we had to close the bridge to trains. When my dad was a teenager, he used to ride his motorcycle across the bridge while trains were using it (not at the same time) when there were no sides in the bridge, just track. He just loves reminiscing over that! We rode the train across the bridge several years ago when my daughter was a little girl – It was fall and we rode in the outside car – was a fun time. Felt saddened when the bridge fell. That sounds like a great experience. Wish I could have done that before it fell. I rode over the Kinzua bridge in 1987 as part of a National Railway Historical Society excursion. We rode part of the journey pulled by a diesel locomotive and the over the bridge by former Huntingdon & Broad Top locomotive No. 38, a standard gauge locomotive that once hauled coal from the Broad Top mines of Bedford and Huntingdon counties in south central Pennsylvania. No. 38 is the last and only surviving H&BT locomotive and is currently being overhauled and restored to its former glory. Growing up we had a camp in Ludlow, outside of Kane and visited the bridge many, many times. We walked across it, hiked all of the trails and I also rode the train across when it was running. At the end of 2014 I was back in PA visiting family, my sister and I drove up and went to see how it is now, it was so, so sad to see but did bring back those incredible memories. 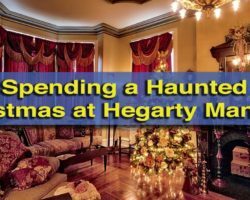 I recommend if you have the chance to visit definitely do so! Our favorite picture is of our four kids on a cross member under the bridge in 2000 after we crossed to the north an walked the trail back down the mountain across the stream and back up the south side. It really was a beautiful bridge, so breath taking to see a giant in the middle of the woods. the north, the area could have been a hub sort of the Scranton of the West. I’ve never known there are paths across the bottom to explore. We love the Rt 6 corridor as well. The bridge was/is beautifully amazing. Too bad there isn’t more history about the first train to go over it…. with no sides…. for as breathtaking as it was, I’m sure it had to be breathtaking in fear too. I was born and raised in PA. Visited the bridge many times before the tornado. Seen the destruction soon after while visiting family. Is was a sad day indeed. I am so glad to see they are preserving a part of this historical site! I walked 3/4 across it back in the ’90s in January. It was cold and windy, I had to turn back. 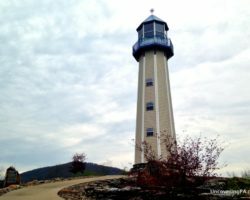 We took our family on a Route 6 vacation and stopped there just after the Tornado. It was so sad to see it like that. What a wonderful website! It is so nice to see how they have preserved this historical site. I have not been there yet, but will make sure that this site is at the top of my list of short trips, My father and mother used to take short trips around that area and he loved going there, That was back in the 1960’s. Our family has a camp near Mt. Jewett. My husband was there the day the tornado hit; we didn’t believe him when he told us. It almost felt like losing a member of the family. We were there the Friday before the tornado. We rode the train up to the bridge and walked around. I was back last year to see the new look out. A beautiful place to visit. Grew upin Smethport . Had a camp and farm in Irons Hollow. Visited the bridge many times and walked the crude triangle track the train used in the woods on the other side to turn around to return to Marionville. My favorite time was peak color week in the fall. The car clubs, bike clubs and other orgs. were always fun to see. My most memorable place to visit. We went there when i was a child. We WALKED across the still up train bridge! We saw the bridge still up one week before the storm took it down. I still go visit this spot and still get chills!!! When I was on the road in the ’80s, early ’90s, I had the opportunity to ride the train across… Unfortunately, I told myself, “Oh, I’ll get around to that later, I’m too busy now, I’ll do it later/sometime/whenever”… Yeah, too late now. I took my wife on a road trip last year up to Bradford & vicinity, so we did see & walk the Skywalk. Very sad, but very great as a State Park. A friend and I rode across the bridge in October 1987 on the excursion train. Part of the trip was diesel, the other by steam locomotive. The steam locomotive was former Huntingdon & Broad Top Mountain Railroad #38 that operated between Huntingdon and Saxton and Saxton and Bedford. That locomotive pulled many train loads of Broad Top coal to Market at Huntingdon.